The UDRP against the aged, generic domain Fairview.com ended with a finding for the Respondent. Attorney John Berryhill defended the case, for a domain registered in 1995. It was acquired by the Respondent in 2005. The Complainant is Fairview Ltd. of Oakville, Ontario, Canada that asserted rights to the FAIRVIEW mark, some of which go back to 1997. In the end, the decision to deny the Complainant’s claims was unanimous, and Fairview.com was ordered to remain with the Respondent. The Complainant is Fairview Ltd. of Oakville, Ontario, Canada, represented internally.  The Respondent is Calacom Administrator, CALACOM LLC of Encino, California, United States of America (“United States”), represented by John Berryhill, Ph.d., Esq., United States. The disputed domain name <fairview.com> is registered with GoDaddy.com, LLC (the “Registrar”). The Complaint was filed with the WIPO Arbitration and Mediation Center (the “Center”) on May 4, 2018. On May 7, 2018, the Center transmitted by email to the Registrar a request for registrar verification in connection with the disputed domain name. On May 8, 2018, the Registrar transmitted by email to the Center its verification response disclosing registrant and contact information for the disputed domain name which differed from the named Respondent and contact information in the Complaint. The Center sent an email communication to the Complainant on May 9, 2018, providing the registrant and contact information disclosed by the Registrar, and inviting the Complainant to submit an amended Complaint. The Complainant filed an amended Complaint on May 9, 2018. In accordance with the Rules, paragraphs 2 and 4, the Center formally notified the Respondent of the Complaint, and the proceedings commenced on May 11, 2018. In accordance with the Rules, paragraph 5, the due date for Response was May 31, 2018. At the request of the Respondent, the due date for Response was extended to June 4, 2018. The Response was filed with the Center on June 4, 2018. On June 4, 2018, the Complainant filed with the Center a supplemental filing. On June 29, 2018, the Respondent filed a reply to the Complainant’s supplemental filing. Exercising its discretion, the Panel has decided to accept and take the supplemental filings of the Parties into account in order to allow each Party to fully state its position on all aspects of the dispute. At the same time, having considered these supplemental filings, the Panel notes that they do not change the outcome of the dispute. The Center appointed Assen Alexiev, Lorelei Ritchie, and Georges Nahitchevansky as panelists in this matter on June 29, 2018. The Panel finds that it was properly constituted. Each member of the Panel has submitted the Statement of Acceptance and Declaration of Impartiality and Independence, as required by the Center to ensure compliance with the Rules, paragraph 7. The Complainant is a producer of industrial quality fittings, hose, couplings and controls, and supplies distributors and original equipment manufacturers in the industrial, hydraulic, automotive, gas, marine and truck and trailer markets. It commenced operations in 1969 as Fairview Fittings & Manufacturing Limited, but later adopted the short name “Fairview”. – the combined trademark FAIRVIEW with registration No. 2258544, registered on July 6, 1999 in the United States for goods and services in International Classes 6 and 7. The disputed domain name was first registered on November 30, 1995. It was acquired by the Respondent in 2005. The URL associated with the disputed domain name resolves to a single webpage, which advertises itself as the “Best Fairview Travel Guide Online”, and invites parties interested in advertising, leasing or developing the webpage to contact the email address and telephone number listed therein. The Complainant submits that the disputed domain name is identical to the Complainant’s FAIRVIEW trademark. According to the Complainant, the Respondent has no rights or legitimate interests in the disputed domain name. The Respondent has no trademark rights in “Fairview”, and does not operate a business by that name or reside in a location with such name. The content of the website at the disputed domain name shows that there is no underlying entity that operates under the name of “Fairview” and no product or service is branded with this name. 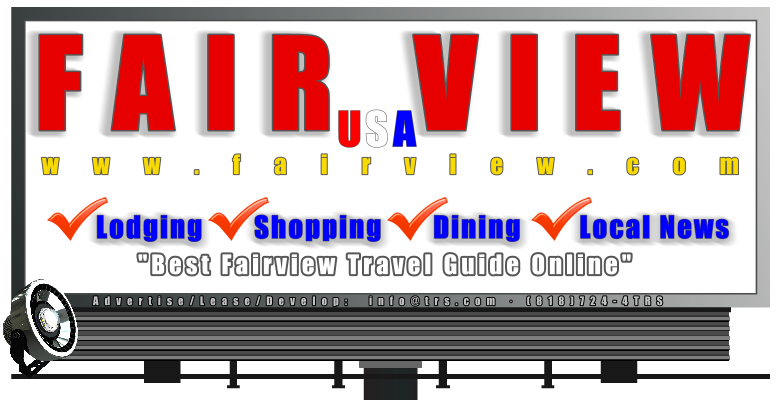 The Complainant points out that the disputed domain name is not used for any commercial or other purpose and is not operating in any perceivable way, as the associated website makes reference to a Fairview travel guide, lodging, shopping, dining and local news, but contains no links to other webpages or content of any kind. The Complainant contends that the Respondent has no legal reason to be using the disputed domain name and appears to have no intention of doing so, and so therefore the disputed domain name is being used in bad faith. The Complainant also notes that the Respondent’s website at “www.calacom.com” (a domain name based on the Respondent’s name) contains no content and its purpose is unclear. Based on such, the Complainant argues that the entire business of the Respondent is to hold domain names for no commercial or reasonable purpose but to extort other businesses. The Complainant submits that it sent two messages to the email address listed on the Respondent’s website but did not receive any response. In its supplemental submission, the Complainant refers to the decision in Telstra Corporation Limited v. Nuclear Marshmallows, WIPO Case No. D2000-0003. The Complainant maintains that the Respondent is continuing to act in bad faith by way of inaction, as it has not updated or changed its website for a significant period of time, has not responded to a purchase inquiry through the Registrar in June 2017, and has not responded to several emails sent to the address listed on its website. According to the Complainant, this indicates that the Respondent has no intention of doing anything with the disputed domain name and this conduct constitutes bad faith. In the words of the Complainant, by sitting on the disputed domain name, the Respondent is preventing the use of the FAIRVIEW trademark by the Complainant. Citing a previous proceeding under the Policy, the Complainant alleges that the Respondent is engaged in a pattern of conduct, whereby the Respondent holds domain names, including the disputed domain name, in a dormant state as placeholders and as a way to defend against challenges through the Policy. According to the Complainant, there are hundreds of communities by the name “Fairview” in the United States, so it could be argued that the Respondent registered the disputed domain name with the hope that such a community may approach it to purchase the disputed domain name. In light of this, the Complainant argues, the lack of response to the Complainant’s emails raises the question as to why the Respondent is operating the disputed domain name. The Respondent points out that the disputed domain name directly corresponds to over 75 geographic locations, more than 60 of which are located in the United States, and that many third parties in the United States and in Canada own other trademarks comprising “Fairview” or their names include “Fairview”. The Respondent maintains that its motivation and purpose for the registration and use of the disputed domain name is not related to any purported trade or service mark rights of the Complainant in brass and steel fittings, valves, and industrial fluid equipment of any kind. In 2005 the disputed domain name was registered to the financial services company Fairview Capital LLC. The Respondent, controlled by a Mr. Greenberg, located in the United States, entered into a lease-to-purchase arrangement with that company, paying a substantial sum during the lease period, with an option to purchase for an additional substantial amount. Mr. Greenberg subsequently reorganized his businesses and the disputed domain name was successively held through SearchMachine LLC and Calacom LLC. The 2005 lease agreement specifically required the lessee to use the disputed domain name in conjunction with a topical sponsored search platform operated by the lessee, and through such use to publish links, information, news and other materials including but not limited to advertising content of various third parties, for the offering of goods and services relating to the City of Fairview, California and/or other similarly named cities found in the United States and abroad. Consistent with the terms of the lease agreement, for many years prior to this dispute the disputed domain name featured geographically relevant search links and general interest links at the corresponding website, such as links to various hospitals in locations named “Fairview”, links to “Fairview Lodging”, “Fairview Resort”, “Fairview Tennessee”, “Fairview Pennsylvania”, “Fairview Hotel”, “Fairview Heights”, “Fairview Homes”, “Fairview Property”, “Fairview Demographics”, etc.  As a consequence of a prior UDRP proceeding (in which it prevailed), the Respondent later discontinued the search advertising as potentially risky, and started using the disputed domain name to solicit specific proposals for geographically-relevant advertisers, lessees or developers. The Respondent submits that the use of a geographical term in connection with subject matter relevant to that term is a legitimate use of a domain name. More recently, the Respondent has removed the automated search links from the webpage at the disputed domain name primarily due to the potential risks of automated search link placement. Having invested several tens of thousands of dollars in a valuable geographic domain name, the Respondent has no intention of losing it on the basis of hypotheses on the dynamics of automated search engine relevance matching. Accordingly, the Respondent invites co-development, leasing and advertising opportunities for any who might be interested in doing so in relation to any of the various places named “Fairview”. These types of arrangements are well suited to high-margin, high-value advertisers such as real estate agents or developers. The Respondent contends that it has never used the disputed domain name for any purpose that has to do with the Complainant’s trade in industrial brass and steel fittings and valves. The Respondent confirms that it does not own trademark rights in FAIRVIEW and notes that the Policy does not require a domain name registrant to own such rights. The Respondent further points out that the Complainant first registered a word trademark for FAIRVIEW ten years after the Respondent registered the disputed domain name. Regarding the allegations of bad faith, the Respondent also notes that the Complainant’s representative in this proceeding contacted it not from its corporate email address, but from a private Gmail account, without disclosing its connection to the Complainant. The Respondent did not respond to these emails seeking to purchase the disputed domain name, because it was not interested in selling it, but was and continues to be interested in proposals that would produce an ongoing revenue stream from developing the disputed domain name in connection with a geographic purpose for which it is well suited. In its supplemental submission, the Respondent points out that the decision in Telstra Corporation Limited v. Nuclear Marshmallows, WIPO Case No. D2000-0003, cited by the Complainant, is not relevant because it deals with a different situation of an inactive domain name that is identical to a fanciful, inherently-distinctive and famous mark solely associated with the complainant. In contrast to that situation, the present dispute involves a domain name that corresponds to a widely-used geographic term and has been used for geographically-relevant search advertising or to solicit advertising, leasing or co-development opportunities centered on the primary geographical significance of this geographic term. As to the allegations by the Complainant of a pattern of conduct, the Respondent points out that it has prevailed in the previous proceeding under the Policy in which it was involved, and that the Policy does not require a domain name to be developed or used to the satisfaction of the Complainant. Rather, it requires the Complainant to show that the domain name was registered and used with a predatory intent based on the Complainant’s trademark. The Complainant has submitted evidence that it owns three registrations for the FAIRVIEW trademark in Canada and in the United States. This satisfies the Panel that the Complainant has registered trademark rights in the FAIRVIEW trademark for the purposes of the Policy. The relevant part of the disputed domain name is therefore “fairview”, which is identical to the word trademark FAIRVIEW of the Complainant and to the word element of its combined trademark FAIRVIEW. In view of this, the Panel finds that the disputed domain name is identical to the FARIVIEW trademark in which the Complainant has rights. As a result, the Complaint succeeds under the first element of the Policy. The Complainant has contended that the Respondent has no rights or legitimate interests in the disputed domain name, stating that the Respondent has no trademark rights in “Fairview”, that it does not operate a business by that name or reside in a location with such name, and that the disputed domain name is not used for any purpose and is not operating. In its defense, the Respondent submits that the disputed domain name corresponds to the names of many geographic locations, third party names, or trademarks in the United States and in Canada and that it purchased the disputed domain name from a prior registrant named “Fairview”, and used it only for search advertising featuring geographic topics relating to places named “Fairview”, and later to solicit proposals for geographically-relevant advertisers, lessees or developers, without at any time targeting the Complainant’s FAIRVIEW trademark or the Complainant’s products. There is no dispute between the Parties that there are many geographic locations and entities whose names contain “Fairview” with or without other elements. The Complainant has not presented evidence and has not established that it has exclusive rights in the designation “Fairview” for other goods or services apart from those included in the scope of protection of the FAIRVIEW trademark. The Complainant has also not presented any evidence that the Respondent has at any point of time since acquiring the disputed domain name in 2005 targeted the Complainant, its FAIRVIEW trademark or the goods marketed by the Complainant. Rather, as maintained by the Respondent, and as supported by the evidence submitted by it, it has used the disputed domain name only for its value as a common term rather than as a trademark. In the Panel’s view, in the absence of any evidence that the Respondent is acting with a particular mark holder’s rights in mind, such use of the disputed domain name appears to be a valid business model and may be regarded as giving rise to rights and legitimate interests of the Respondent in the disputed domain name for the purposes of the test under the Policy. Therefore, the Panel finds that the Complainant has not established that the Respondent does not have rights or legitimate interests in the disputed domain name. The Complainant contends that the Respondent has no legal reason to be using the disputed domain name and appears to have no intention of doing so, and that the entire business of the Respondent is to hold domain names for no commercial or reasonable purpose but to extort other businesses. The Complainant maintains that the Respondent is continuing to act in bad faith by way of inaction, as it has not updated or changed its website for a significant period of time and has not responded to the Complainant’s purchase inquiries. According to the Complainant, by sitting on the disputed domain name, the Respondent is preventing the use of the FAIRVIEW trademark by the Complainant. The Respondent has submitted evidence that it has acquired the disputed domain name from an entity whose name included “Fairview”. As discussed in the section on rights and legitimate interests, the Party submissions contain no evidence that the Respondent has at any time targeted the Complainant or its FAIRVIEW trademark, but only evidence that the Respondent has used the disputed domain name in connection with its significance as a geographic term, even if that use was not very significant or active. Given the disputed domain name’s descriptive connotation and the use of the designation “Fairview” by hundreds of communities, apartment buildings, companies, etc., and given the lack of any proof of bad faith registration by the Respondent, the Panel finds no basis in the Complainant’s claim that because the Respondent is not making much use of the disputed domain name this conduct represents bad faith in and of itself. See Admiral Insurance Services Limited v. Mr. Adam Dicker, WIPO Case. No. D2005-0241 (denying transfer of <elephants.com> due to respondent’s lack of bad faith); carsales.com.au Limited v. Alton L. Flanders, WIPO Case No. D2004-0047 (denying transfer of <carsales.com> and finding, in part, that based on the evidence submitted respondent’s warehousing of domain names was not an illegitimate use or interest under the Policy). There is no dispute between the Parties that the Respondent has not offered for sale the disputed domain name to the Complainant. The fact that the Respondent has not responded to the Complainant’s messages indicating an interest in the purchase of the disputed domain name does not in itself speak against the Respondent, as it was not required to respond to these messages, which were not even flagged as being from a trademark owner. In addition, the Panel is satisfied that the Respondent had other plans for the disputed domain name, as explained by it in this proceeding and as supported by the evidence put before the Panel. In the light of all above, the Panel accepts that the Complainant has not shown that the intent of the Respondent in registering and using the disputed domain name was to take advantage of the Complainant’s FAIRVIEW trademark. Therefore, the Panel finds that the Complainant has failed to establish that the Respondent has registered and used the disputed domain name in bad faith.